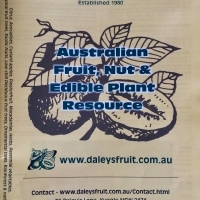 Daleys Fruit Tree has Plants for Sale to Somersby and can Mail Order them to you door. Click to Find out how much Freight Will Cost. 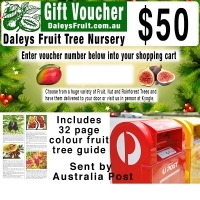 This $50 Gift Voucher is sent by Australia Post to either yourself to then give to your recipient or by selecting "Send as a Gift" at the checkout you can send it directly to your recipient.